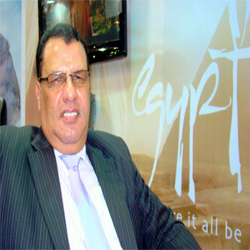 Mr Samy Mahmoud is Undersecretary Head of the International Tourism Sector, Egyptian Tourism Authority. He shares his views on Egypt’s increasing tourism numbers and some lesser known but fascinating Egypt attractions. He was in India during the Travel / Trade Fair (TTF/OTM) in February. It’s good to see that you are here in India. What brings you to India? I have especially come for the TTF/OTM which is a very radiant Travel/Trade Fair and I have also come for the Egyptian Night. (The Egyptian Night took place on February 8, 2010 and Egypt Tourism’s new Brand Campaign and Logo were launched in Mumbai. You had been involved with India for a very long time now: how have you seen the Indian Market grow in the last few years and what are the statistics of Indian tourists visiting Egypt? When I started work in India it was 2005 and there were just 40000 visitors from the Indian Markets. But gradually we saw a steady rise in the number of visitors and by end of 2009 we had crossed the 90000 mark. We are expecting this number to cross the 100000. I think we are heading in the right and positive direction. What potential do you see in the future? I think the Indian market has an extremely good potential. India is going to be extremely good for Egypt. The second largest amounts of visitors from South Asia come from India (After Japan). What is the estimated growth you see as far as India is concerned? Is India on your “top priority list”? India is definitely on our top priority list and as I mentioned earlier India comes only second to Japan. Russia ranks number one: the maximum number of tourists that come to Egypt are from Russia. United Kingdom stands second, Germany stands third and Italy stands fourth. However India has a tremendous amount of potential and we are marketing aggressively here. With the launch of our new logo, you can see the branding taking place on a very vast level. The estimated growth of Indian travelers has compelled us to make India a top priority. So Russia sends Egypt the maximum number of tourists? Yes Russia sends the maximum number of tourists to Egypt: almost two million every year. How many visitor arrivals do we see in Egypt every year? 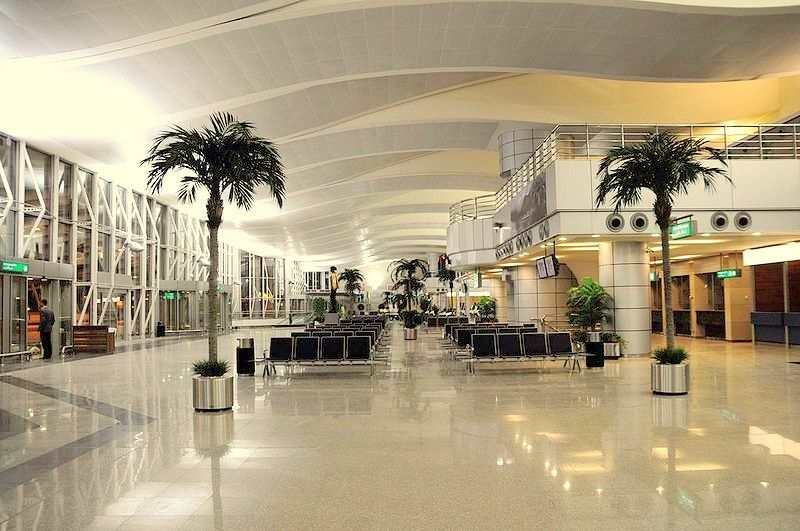 In 2009 there were almost 12.6 million visitor arrivals in Egypt. This year however, we are expecting to cross that mark. I am quite sure that – with our new marketing strategies, exclusive branding, and high end advertising through various Media, Egypt as a country will reach out to more people across the world. We expect more travellers. As an Undersecretary Head of the International Tourism Sector what are your responsibilities? My main responsibility is to handle all offices of the Egypt Tourism Authority across the world. We have seventeen offices: twelve are in Europe; three are in South East Asia, one is in the United States of America and one is in Canada. So I deal with all our offices all over the world to market Egypt aggressively in 26 markets. We do this through various mediums of publicity, through FAM (Familiarization) trips and through important travel fairs. We also do market research about these areas. What do you think of the concept of Namaste Egypt? It is a very good idea and a brilliant concept especially since many Indians don’t know much about Egypt – maybe because we started very late in the Indian markets. We are trying to change the view of the Indian people many of whom feel that Egypt is only about the Pyramids. We have much more than the Pyramids! Most people also know about the Nile Cruise from Luxor to Aswan. But besides these attractions, we also have great entertainment: night life, nice beaches, golf courses, luxury resorts and beautiful wellness spas… Namaste Egypt too is promoting such places rather than the usual and standard pyramid tours. So Namaste Egypt is taking an initiative similar to ours and we are very happy to recognize and appreciate its efforts. These days in India, attractions like Hurghada, Sharm el-Sheikh, the Nile Cruise, Cairo and Alexandria are becoming well known. What other novel places can you suggest for the Indian Travellers apart from these? I would recommend experiences like the Egyptian Desert Safari in a place called Siwa. Besides that we have the breath taking White Oasis – the Bahariya oasis. We also recommend a very new resort which looks like paradise, 150 kms South of Hurghada. We especially recommend it for incentive and industry group tours, besides suggesting it to normal travelers. What are the “special-interest” tours that you would recommend for the Indian travelers? We have Golfing in Egypt. Then, as I mentioned earlier – there are wellness spas, there is the Egyptian Desert Safari full of Adventure and you can the visit the natural places inside the White Oasis. Are we expecting some more Bollywood movies to be shot in Egypt? Yes, for sure. In my conversation earlier with Celina Jaitley she also expressed her desire to shoot in Egypt. We are currently being approached by a few Production houses because we have all the facilities, we have a very big media city, we have very nice equipments, good location, luxury hotels, beaches, deserts, gardens, golf courses’ etc we have the variety that would serve the purpose of shooting Indian films in Egypt. What is your Impression of India? I am very happy because I have seen India growing very fast. When I started back in 2005 in India, the infrastructure wasn’t that good but within 5 years India has progressed immensely. It is a rapid growth within a short period of time. The infrastructure has improved tremendously since 2005. India truly is a rapidly developing nation. What is your message to Indians for 2010? I welcome all Indians to Egypt. Both India and Egypt have a very great culture. We both have a great past. The economic and political relationship is also growing very fast. We would be more than glad to welcome Indians as guests and extend our hospitality to them.